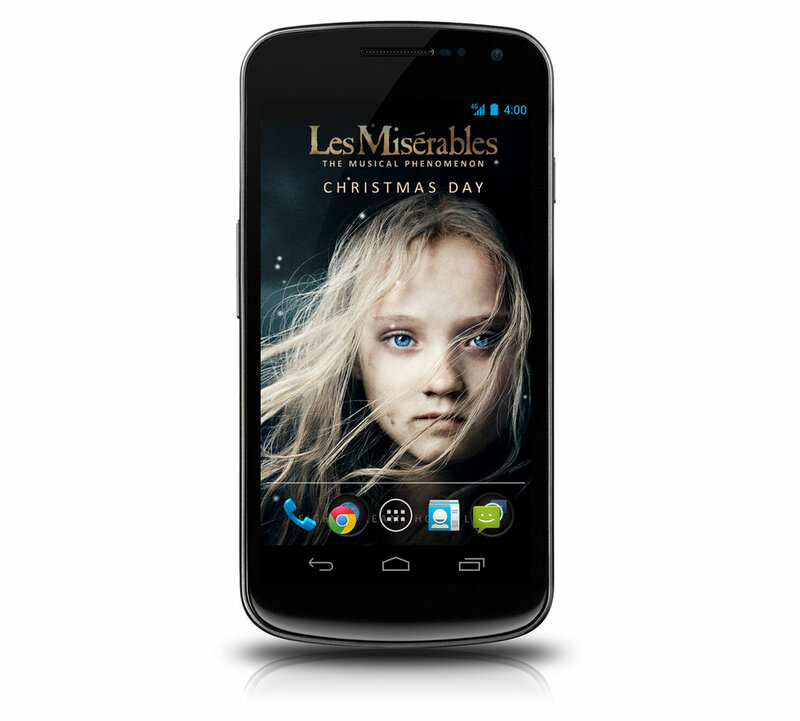 Two Android live wallpaper apps designed for 2012 films Les Misérables and Pitch Perfect for the USA and UK markets. Each app utilised parallax scrolling and subtle animation to provide a rich homescreen experience for Android mobile users. The apps also contained links to view the trailer, and to the website where users could purchase tickets. I designed these apps whilst working at Net Mobile - a small mobile app and web agency in London. Our agency was supplied with high-res Photoshop movie poster files, as well as other related assets. I then used those assets to design the apps you can see here. I was the sole designer in the agency, and worked closely with the developers and the account manager. 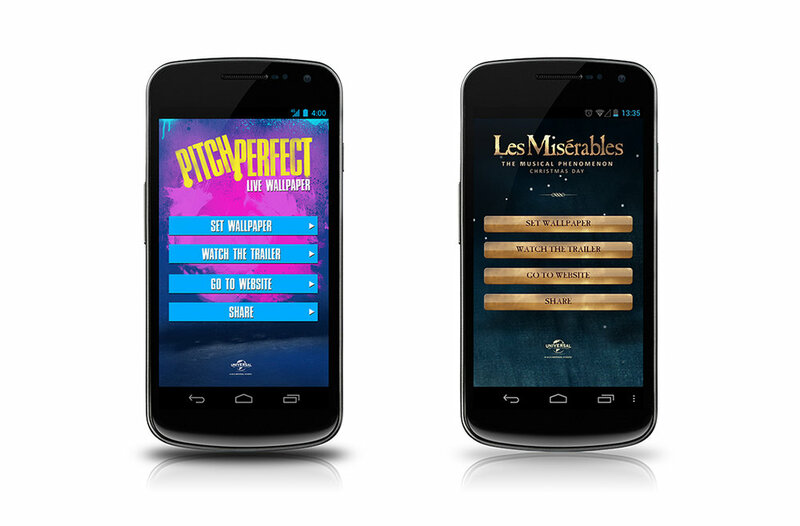 In addition to these two apps, I also designed websites for Les Misérables and Pitch Perfect. 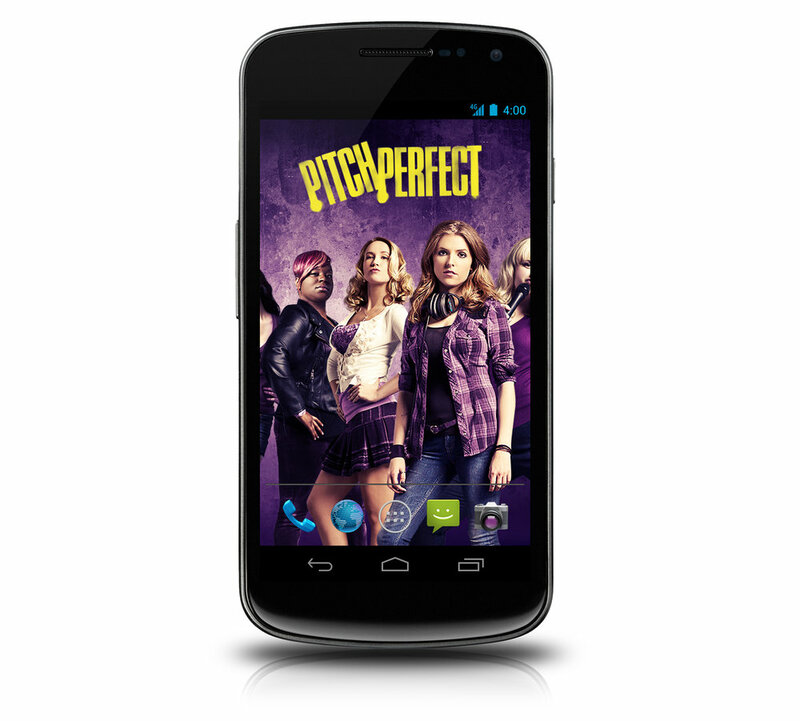 Google Play Pitch Perfect download screen. Settings screens for each of the apps. From here they can set the wallpaper to be active on their phone, as well as other marketing links. The main wallpaper screens for each of the apps. Swiping left and right across the different home screens on the user's Android phone makes us pan across the movie artwork. The background and title stay static, but the actresses animate in the foreground. Swiping left and right across the different home screens on the user's Android phone makes us pan across the movie artwork. Snow animates across the screen, as small shimmers of light ripple across the title and the girl's eyes. 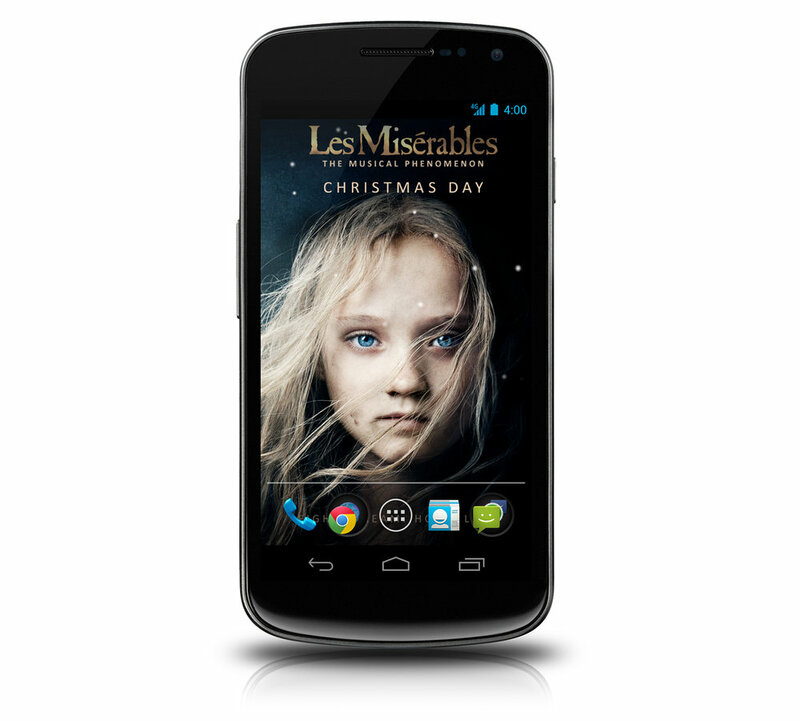 Google Play Les Misérables download screen.